Travel to the town of Nowhere and search for clues to remove the terrifying curse in this thrilling and spooky sequel! Audrey collected all the letters with the help of the dead postman, hoping they would lead her to Patrick, her missing husband. Instead, she is taken to a mysterious sleepy town. 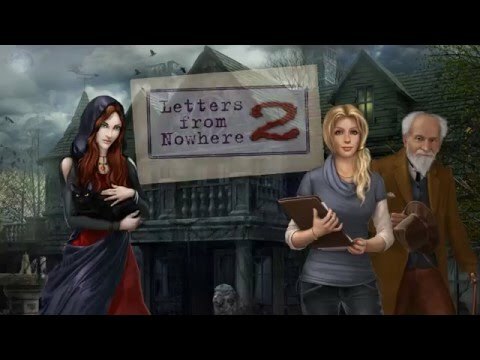 In Letters from Nowhere 2, Audrey discovers that her husband is a descendant of a cursed family, and is doomed to death. Now it’s up to her to confront the evil that haunts her beloved and prevent a series of grisly murders. Search through over 30 cryptic locations including the sinister mansion and a bloody sacrifice room for important artifacts. Play mini-games, collect all the pages of a missing diary, and save Patrick before it's too late!